It’s that time of year again. Time to prepare for snow removal & snow plow repair. Burke Landscape Supply has your snow plows Delaware County! Burke Landscape Supply is your one stop for buying snow plows, salt spreaders, snow blowers, and snow plow repair. We sell and repair snow equipment including snow plows, salt spreaders, snow blowers, and more. Come see our selection from all the major manufacturers. We sell the best brands of snow equipment including WESTERN, BOSS, SnowDogg. 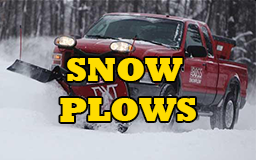 Our most popular snow equipment items snow plows Delaware County: WESTERN snow plows, BOSS snow plows, SnowDogg snow plows, WESTERN salt spreaders, BOSS salt spreaders, SaltDogg salt spreaders, Ariens snow blowers. Come to us for your snow plow Delaware County. 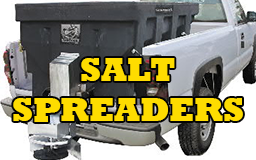 After you remove the snow, treat the ground to prevent refreezing with your SaltDogg salt spreader. We sell various Ice Melt products for deicing. Burke Landscape Supply has calcium chloride, bag salt, bulk salt, pellets, and sidewalk blends. Many of our customers prefer bulk salt for their driveways or parking lots. 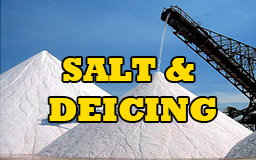 Pick up your bulk salt or have us deliver bulk salt to your location. Call us at 610-494-9600. 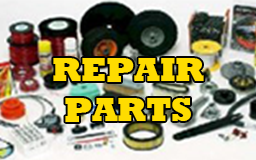 We sell replacement parts for all the major manufacturers snow plow repair. We sell parts for WESTERN, BOSS, SnowDogg, SaltDogg, Meyer, and Fisher. Using genuine parts helps your snow equipment last longer. Come to Burke Landscape Supply for snow plow repair, salt spreader repair, snow blower repair. We repair WESTERN, BOSS, SnowDogg, SaltDogg, Meyer, and Fisher.